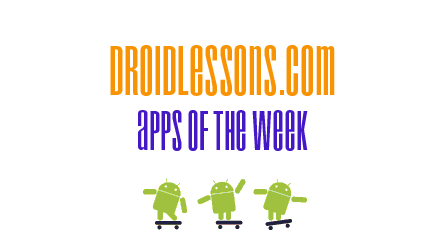 Welcome to another edition of DroidLessons.com’s “Android Apps of the Week!”. The plan is to compile a list of my favorite apps and share them with you on the Sunday of every week. It will give you plenty of time to try out the apps and then also something to look forward to on a weekly basis. This is something that I’ve also done when teaching an Android class to Adult learners and they found it to be one of the best parts of my class. It’s always fun to learn about the latest and greatest apps out there. The Android market has over 100,000 apps and therefore it’s not always easy finding quality apps via the Android Market. My hope is to save you some time by sharing and informing you of the quality apps that I have found over the many months of using and teaching on the Android platform. 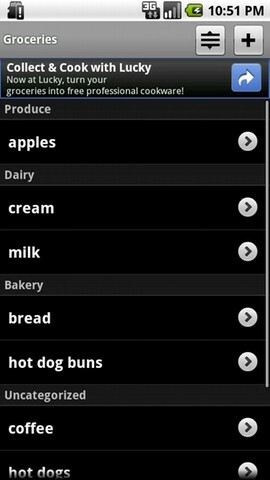 ShopSavvy is one of the best barcode scanners available on the Android platform. This app has saved me lots of money over the last few months! 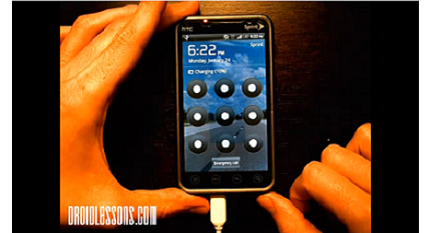 It’ll convert your phone’s camera into your own personal barcode scanner. Just find a product with a barcode, scan it, and then it will list the lowest price it finds for that product in various Local and Online locations. Example: I was in the market for a new vacuum cleaner, after lots of research I decided that the Dyson vacuum was going to be the best choice for my needs. Well, it also happens to be one of the most expensive vacuums on the market. And did I mention I’m cheap? So I went to Bed Bath & Beyond and decided to try scanning the barcode on the vacuum to see if I could save a few bucks… ShopSavvy found it at Sears for $130 dollars less! I couldn’t believe it. I asked to speak to a manager to see if they would honor the price from the competitor. He typed a few things on his computer to verify the price over at Sears and then said “Absolutely”. At that point, I tried to see how far I could push my savings… I pulled out my 20% off coupon for Bed Bath & Beyond and asked if I could also apply this coupon. To my surprise, he said sure! I ended up saving over $175 on this purchase by using the magic of ShopSavvy and an additional coupon. Hence, why I highly recommend this app! 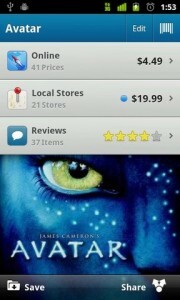 Just go to your “Market” icon on your phone and click the search button and type in “ShopSavvy”. Install the app and you’ll be ready to start saving some money! 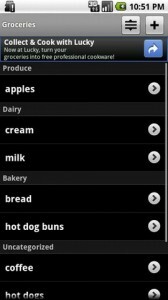 OurGroceries is a great app for keeping an up-to-date list of all your grocery needs. 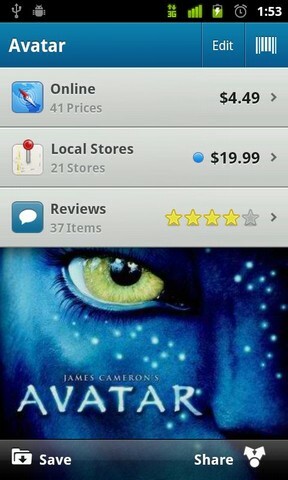 But it is more than just a simple list app… It also has the capability to sync your list with other family members. Every change that is made, like if Mom buys the Milk, will be automatically removed from everyone’s list. How awesome is that? Every change to your shared shopping list is visible in seconds. Quick Settings, as the name implies, is an app that provides a quick and simple interface to get to the most commonly used settings in the Android OS. 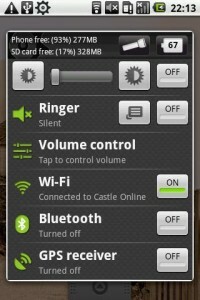 This app lets you quickly switch on/off the most important Android settings with just few taps and also helps in controlling battery consumption. 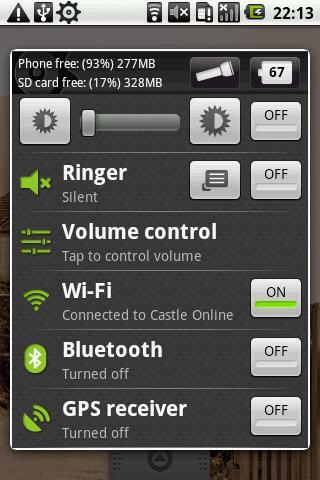 The app provides customization of the following settings: Brightness, Ringer, Volume Control, Wifi, Bluetooth, GPS, and much more. It even has a flashlight feature that turns your phone’s LCD screen into a flashlight (don’t recommend doing that too often though, it will eat your battery life). Ever wonder what the home values in some areas were? Well, no need to call up a real estate agent just to satisfy your curiosity. 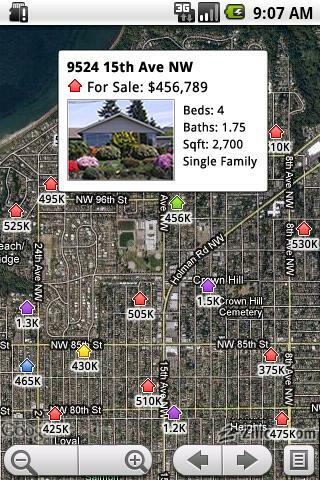 Luckily, Zillow provides this free mobile real estate app for your Android device. 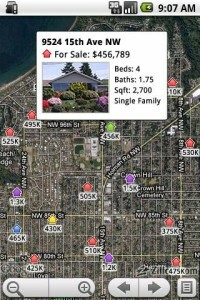 It’s a must have app for any real estate agent and a great app even for your average person. See estimated home values, homes for sale, homes for rent, and more. Use Android’s voice search feature, plus built-in GPS technology, to search for homes as you talk, walk or drive through neighborhoods. If available, it also provides pictures of the homes that are for sale. It is a really great resource to have if you are in the market for purchasing or renting a new home.